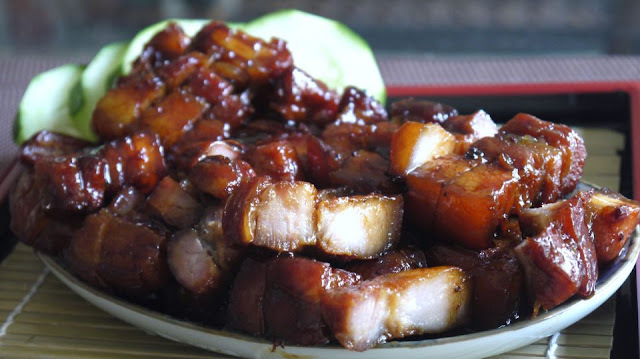 Maybe it is the glistening fat that put me off from preparing this dish often, but this char siu is sinfully delicious and is well received by the family. It is also very easy to prepare and need very little ingredients. You can also cook this hours ahead of your meal. The meat is very tender and succulent and gravy is honey sweet. This is best served with cucumber on the side and any leftover can be cut into cubes and add into fried rice. Arrange belly slices into a big heavy based pot. Add everything except palm sugar. Put enough water to cover the belly. Let the char siu cool in pot. Slice when it has totally cooled down. 242 children has registered with Powerlab! We need many lab Crew Leaders (shepherds) to guide the children through all the activities and fun. The children are divided into groups of 6 each. We will therefore have 41 groups and so need 41 crew leaders. Thank God we have 23 people who have committed themselves and God will send the 18 more we need. We also have a Dedicated Prayer Team who pray for the camp. Our hearts are filled with thankfulness and praise to the Lord for His mercies.